I'm not sure if we fully understand why the flowers assume this shape. It seems that their main pollinators are bees. 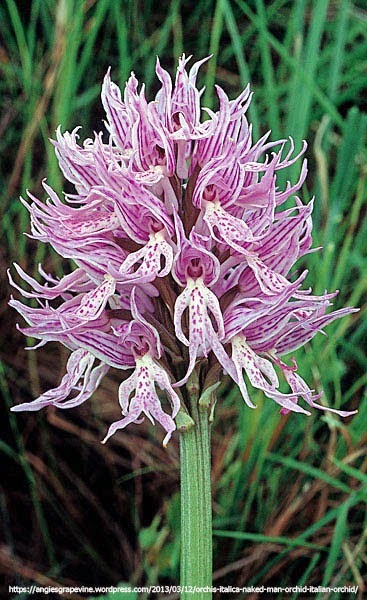 The do produce a sweet nectar which is sometimes used by humans to produce a drink. 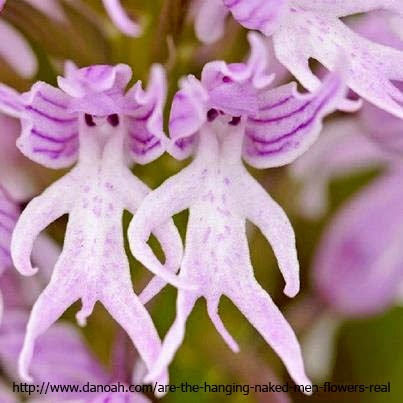 Naked man Orchid occurs rarely across the Mediterranean.